Here is some stationery we have been busy designing this week for Raj and Kevin who are getting married this New Years Eve!. What a fab day and evening to celebrate such a big occasion. 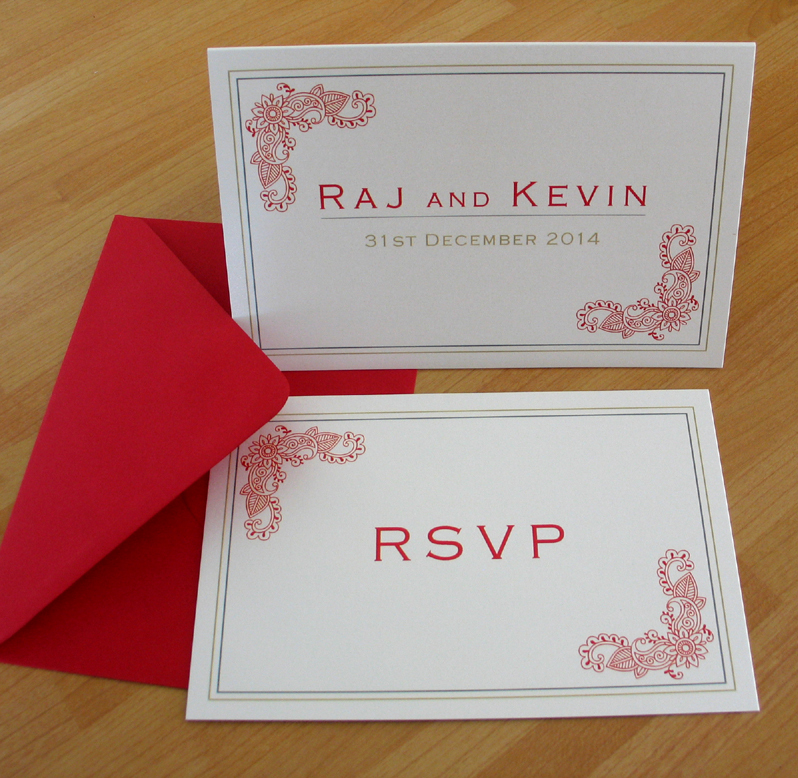 Raj and Kevin wanted a hint of an Indian theme to the stationery but to still keep it modern and minimal. I think our combination of ideas have worked out really well. I very much look forward to designing further elements for the day later in the year. Sabrina and Colin win £100 worth of wedding stationery!!!!!!! 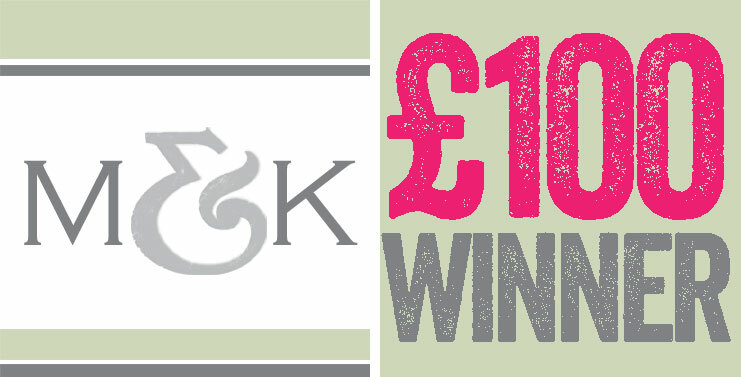 Each month any prospective customer who has ordered a free of charge wedding stationery sample from us is automatically entered into our monthly prize draw to win £100 worth of Millbank and Kent wedding stationery. This month the lucky winners are Sabrina and Colin from Pemberton who are getting married on 1st April 2015. We very much look forward to hearing from them should they wish to take up the great offer. August is here already, where has the year gone for planning your up and coming wedding??!. 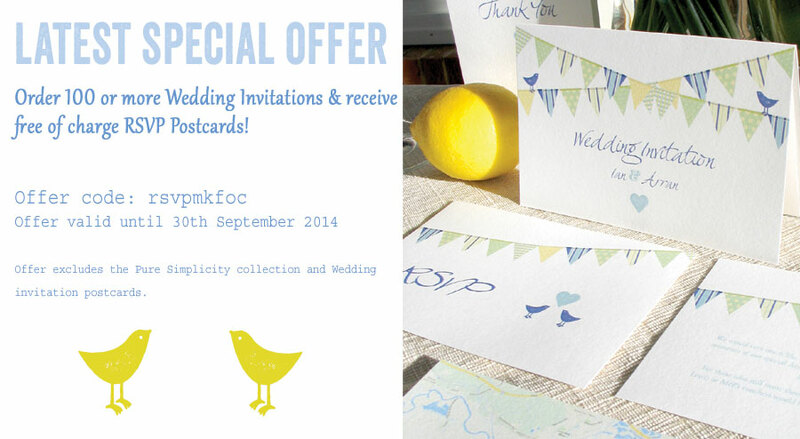 Do not fear, our special offers continue into August with FREE OF CHARGE RSVPs when you order 100 or more wedding invitations. Feel free to get in contact for a no obligation quotation or just to find out more.